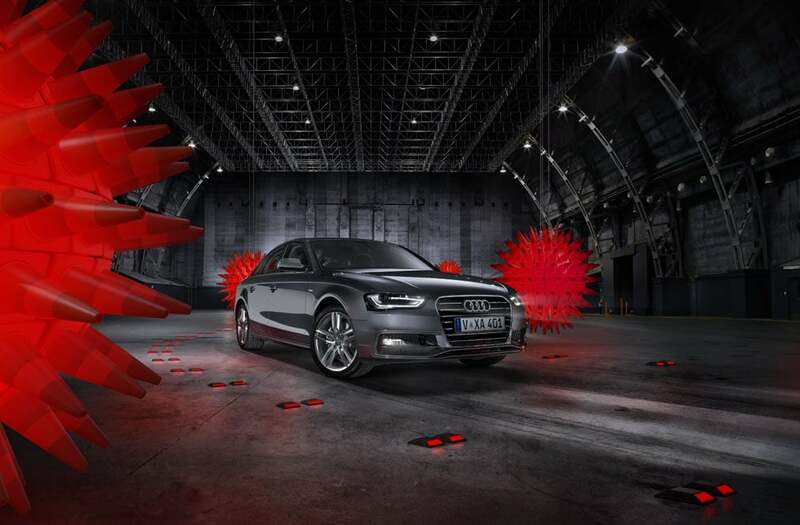 A striking image featuring the brand new Audi A4 S Line Plus. The car was photographed by Ian Butterworth in a warehouse environment with neutral lighting. Additional light sources were used to cast red highlights onto the car, providing realistic reflections for the 3D cone structures and cat eyes. All these elements were carefully combined, ensuring the vehicle looked natural, realistic and premium in its environment.